Please use the following login to our customer service portal to interact with our team to beEnergyGen is located in Austin, Texas. 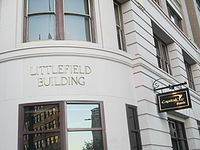 Our offices are in the Littlefield Building, in downtown area of Austin adjacent to the Driskill Hotel. The Littlefield Building is a historic restored structure built in 1910. It was the former residence of George Washington Littlefield. 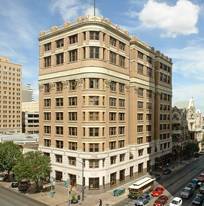 From 1895 to 1903, Littlefield owned the Driskill Hotel, located near the Littlefield Building. He installed the first electric lighting system in the hotel, which became a gathering place for Texas politicians during much of the 20th century. in 1901, he erected a windmill 130 feet tall on one of his cattle ranches. The windmill was then believed to be the world's tallest such structure. He was a former Regent of the University of Texas. Today, the Littlefield Building pays superb attention to detail. The building underwent an exterior and lobby renovation in 1992. The celebrated Sixth Street clubs in Austin are located nearby and the landmark Driskill Hotel, which has hosted distinguished visitors from around the world, is located next door. The State Capitol and The University of Texas campus are within walking distance, as well.